Scientific American Mind recently published an article reviewing 10 approaches to viewing the mind; 10 New Ways to Peer Inside the Human Mind. Seven of the ten methods mentioned in the article are summarized in below, with more detail as to their origin, and updates on initiatives further developing knowledge about the mind, using the new techniques. High definition fibre tractography enables further definition of white matter tracts in the brain correlated to neuronal axons. 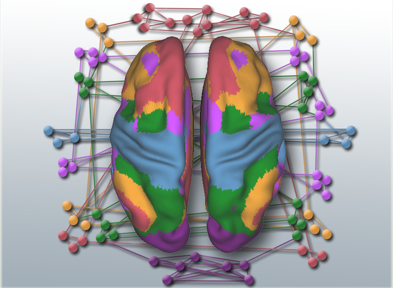 A relatively new computational analysis method, this way of viewing the brain enables three-dimensional appreciation of where tracts specific to certain anatomy and/or function, are located in space. (above photo from the University of Zurich project by Caroline Reischauer and colleagues). In 1990, Michael Moseley published his findings showing that directional water diffusion in the brain is associated with the direction of the white matter tracts. In 1991, the first tracing of white matter fibre tracts without the use of contrast was developed. 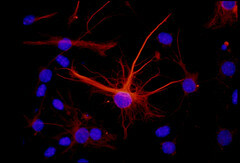 In 1992, the first paper describing this method was published, and, since then, the technique has evolved to be used in various research describing the human brain both in health and disease, and throughout development. 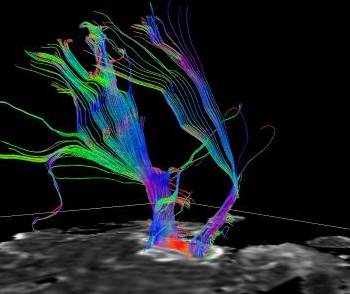 High definition fibre tractography uses data gathered via diffusion imaging. MRI, or magnetic resonance imaging, enables us to view the brain in a myriad of ways, depending on how the image is gathered and processed. In Diffusion Weighted Imaging (DWI), each voxel, or three-dimensional pixel, has an intensity that reflects the rate of water diffusion at that particular point in space. 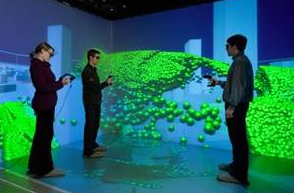 Diffusion Tensor Imaging (DTI) identifies the direction of water diffusion in space. As water moves more quickly along directions aligned with internal structures, we can begin to approximate a circuitry of the brain. 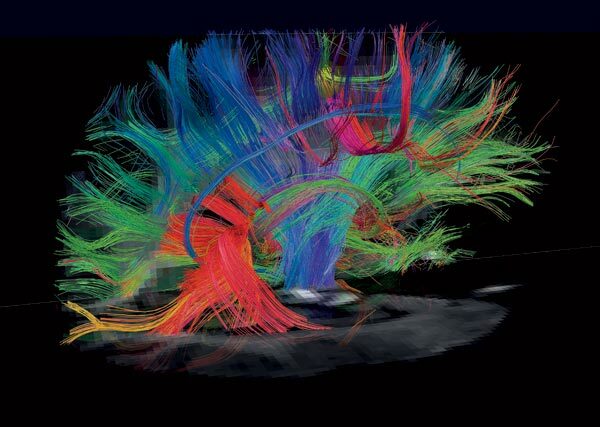 The above photo, shows the tracking of white matter fibers, representing axonal “wires”, in the brain (above: photo from the internet). Combining DTI with fMRI, neuronal connectivity specific to certain functions of the brain can begin to be identified. 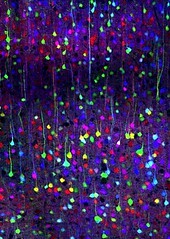 The associated specific activity of the brain is labeled in color, showing which fibre tracts are correlated to specific activities. Magnetic resonance imaging, or MRI, has been developing as a method since the mid 1950’s. 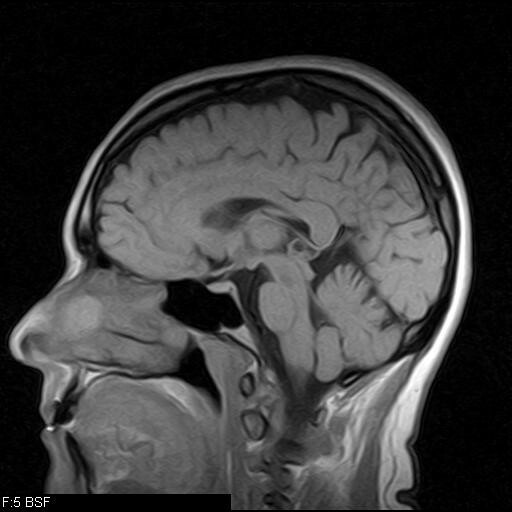 Herman Carr, an American physicist, was the first to report a one-dimensional MRI image. Over the next twenty years, scientists worked on the method, until an operational MRI scanner was finalized in 1972 by Dr. Raymond Damadian, and Armenian-American physician, scientist, and professor from New York. In 2003, Paul Lauterbur and Sir Peter Mansfield were awarded the Nobel Prize in Physiology or Medicine for their discoveries using MRI. A simple description of MRI is as follows: atoms in the body are temporarily aligned to a specific orinetation by applying a strong and briefly pulsed magnetic field. After the magnetic field is removed, the atoms relax back to their original state. The time that it takes them to relax, is related to the type of biological tissue that they are located in. The different relaxation times can be correlated to different shades of gray, generating an image that described the boundaries of tissues in space in shades of gray. 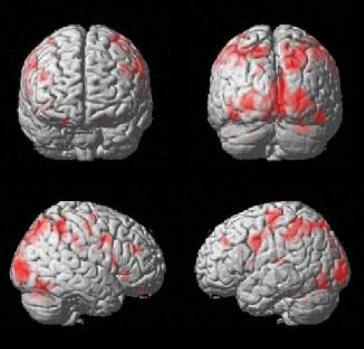 Functional MRI, or fMRI, measures the deoxygenation of blood as it flows through brain tissue. Areas that deoxygenate are labeled with colour as active, as neurons use oxygen when they are active. Another metabolic appraoch to look at the brain measures the uptake of glucose, or other neurochemicals such as dopamine. The labeling of molecules, and consquent measuring of their uptake in the brain, is called Positron Emission Tomography, or PET. 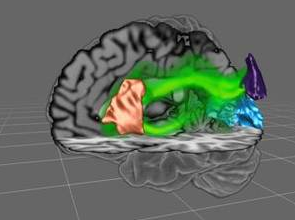 fMRI information can be used to visualize many processes of the brain, and individual research labs create their own ways of viewing the real-time data. For example, Elvira Brattico and colleagues developed a novel way of viewing how the brain reacts to music using fMRI (see video above). Magnetoencephalography, or MEG, uses extremely sensitive magnetic field detectors that surround the brain, to pick up the tiny magnetic fields generated when neurons fire. As neuronal behaviour is measured as opposed to the rate of deoxygenation of blood, brain events can be captured per millisecond, thus more closely approximating the speed of human thought. The above photo shows the brain of a person listening to sound. 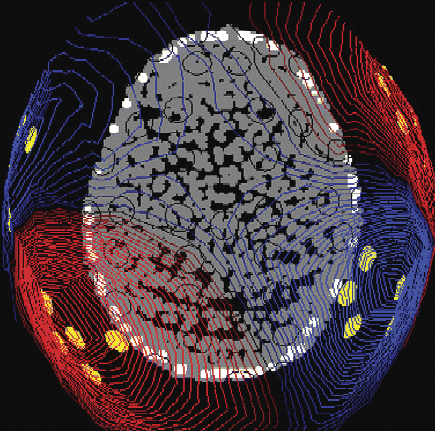 The red lines represent outward magnetic field flux, and the blue lines represent inward magnetic flux (photo from Cerebral Cortex Oxford Journal, June 2006). Yellow circles identify the MEG channels that are responding most strongly. MEG activity is then correlated to the individual’s anatomy, to connect function to structure. 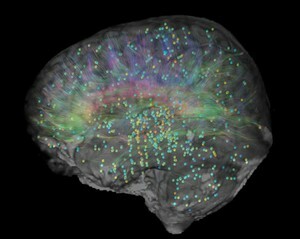 Functional connectivity MRI demonstrates the interactive connections between various images of the brain. Length of connections, number of connections, and other variables can be seen to differ between healthy brains and those suffering from a mental illness. An efficiency of connections is correlated to people with high intelligence within a certain area. Connectomics is the emerging field that studies the connections between different areas of the brain. 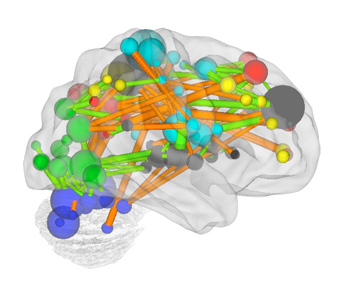 A connectome is a map produced to detail anatomic and functional connections within the brain. The Human Connectome Project is a National Institutes of Health research initiative aimed to construct a generalized map of the human brain, and also show areas of this map that are changed in brain disorders, including autism, Alzheimer’s disease, and schizophrenia. The Allen Institute for Brain Science is developing a map of the mind that incorporates genetic information. Identifying genes expressed more or less in specific regions of the brain, in young people and into adulthood, the map aims to help identify how gene expression is located in space and affects function. Above is pictured one of the maps for a gene – the dots of warmer colors locate places of high expression, whereas the dots of cooler colors locate areas of low expression of the gene. Whole-genome expression data is viewable in three-dimensional space, and searchable for specific genes. For more information, you can view the maps generated to date at the Allen Brain Atlas website.